Our hands go through a lot. Hands are the parts of our body that fore-mostly come in contact with things and when it comes to taking care of them, we mostly overlook the part. Yes, we do wash them but is that enough? Our own negligence sometimes causes us to have problem peeling skin, which becomes a bit uncomfortable. However, it does not pain always but constant skin peeling makes it rather difficult and uncomfortable to hold pen, spoon and do anything with hands. Hand skin peeling is a very common problem though. 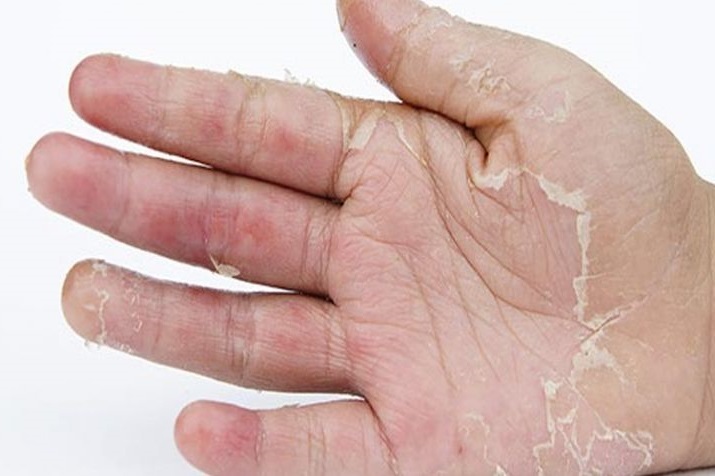 Many people suffer from peeling skin on hands quite often. This could be because of dry skin, eczema, sunburn, psoriasis, frequent hand wash, making use of products consisting harsh chemicals, dry and cold weather and allergies. And then there are some infections that cause you to have problem of hand skin peeling, such as fungal infections, staph infections, Vitamin deficiencies and some other mild and severe conditions become a factor for peeling skin on hands. Take a large bowl of warm water and soak your hands in the water for 10 minutes every day. It will make the skin on your hands soft and the dry skin will start to come off. If you want, you can add in some honey and lemon juice to the water. Soak your hands for 10 minutes and then pat them dry. When your hands are dry, apply a good moisturiser. Soak your hands on warm water for 10 to 15 minutes and then pat dry them. Use a soft cloth to dry your hands, and then apply Vitamin E oil to massage your hands. Vitamin E will keep your hands moisturised for long. You can also use olive oil. It will also keep your moisturised in natural way. Take some oats, and soak them in a large bowl of warm water. When the oats are soft, dip your hands in the bowl and keep it for 10 to 15 minutes. After that wash your hands with clean water and pat it dry. Apply a mild moisturiser. If your problem is too severe, you can do it every day for better results. Cucumber can treat the skin peeling of hands along with making your hands softer and fairer. Take a fresh cucumber into thick slices. Rub the slices on your hands and leave the juice on your hands for 10 to 15 minutes. Then wash your hands with lukewarm water and massage your hands with Vitamin E oil. You can massage your hand with Aloe Vera extract daily before going to bed. Sleep and then wash your hands in the morning with warm water. Apply some good moisturiser.